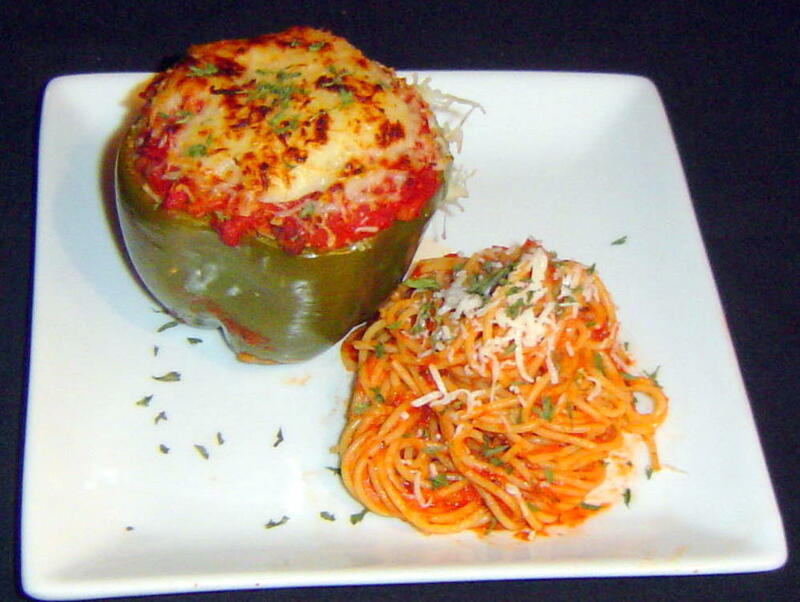 Stuffed bell peppers are an easy comfort food that I happen to enjoy a great deal. I think they make a great dish for the coming (or already here for you readers up North) months. I actually do several types of stuffed peppers and this one is my take on my mother’s Italian style. 2. Brown your ground beef in a sauté pan over medium high heat. Add garlic, onions, and peppers when beef is almost thoroughly browned. Remove from pain when no longer pink, and drain away excess grease. Allow to cool. 3. In a large bowl combine: meat/pepper/onion/garlic, rice, Italian seasoning and 1.5 cups of the marinara sauce. Stir to combine thoroughly, season with salt and pepper, and then stuff each pepper with the mixture till full. 4. Pour the remaining 1 cup of sauce into an ovenproof dish and add peppers open side up. Top each pepper with ¼ cup of mozzarella. 5. Cover dish and bake in a 350 degree oven for 50 minutes. Remove cover and bake for an additional 10 minutes or until cheese has browned. Thoughts: I used green and red peppers for my dish. Green because I prefer them and red because Brent can’t stand green peppers, but please use whatever color is your favorite! I love how the peppers soften and develop their flavors while still staying intact for serving purposes. 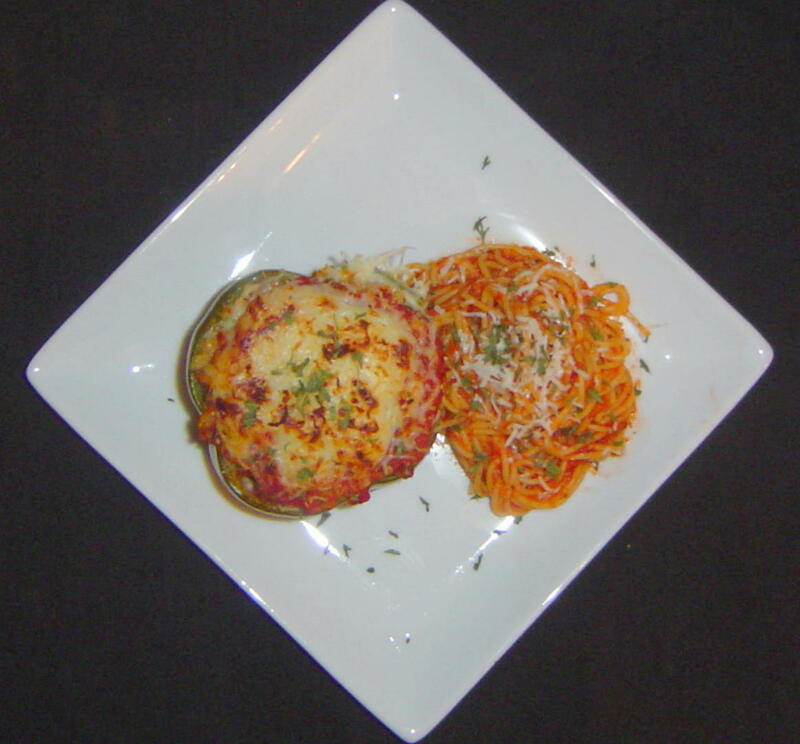 The mixture inside is moist and flavorful from the additional herbs we add as well as adding the onions and peppers. You can serve these with a side salad or some pasta on the side. Either way works great! I'm with Brent on the green pepper issue!!! Mmmmm, it has been a while since I have had a stuffed pepper!! They are SO good!!! Yours looks fab! These look absolutely delicious! Pure comfort food! That looks like a perfect dinner! this looks so lovely... thank you for sharing this. have a nice weekend.